The Nissan LEAF Zero-Emission Tour culminated on 11th Feb 2010 with an appearance in New York City. The three-month tour, which made 63 stops in 24 cities, offered the opportunity for interested drivers, media, civic partners, businesses and university students to learn more about the Nissan LEAF and the benefits of zero-emission driving. * REGISTER: Interested people can register for more information about the Nissan LEAF on www.NissanUSA.com. To date, close to 50,000 people have registered on the website. Registrants will be given first priority to reserve a Nissan LEAF. 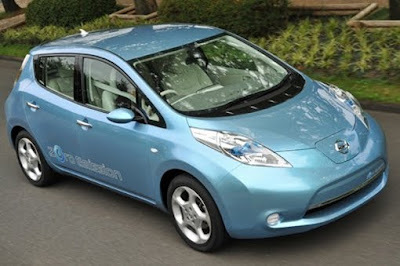 * RESERVE: The reservation process will begin in April, shortly after the announcement of the price of the Nissan LEAF. Upon paying a fully refundable $100 reservation fee, registrants will be among the first in line able to order a Nissan LEAF. * ORDER: Nissan will begin taking firm orders in August, for deliveries when sales begin in the driver's particular market. * EARLY DELIVERIES: Rollout begins in select markets in December 2010, with vehicles available in all major launch markets quickly thereafter. "The Nissan LEAF purchase process is effortless, transparent and accessible, offering value with a one-stop-shop approach for everything related to the car, including the assessment, permitting and installation of in-home battery charging units," said Carlos Tavares, Chairman, Nissan Americas. "We want everyone to feel good about having a car that is affordable, fun to drive and good for the environment." Coinciding with this next phase of the Nissan LEAF launch is the debut of Nissan's initial global marketing campaign, which is called "The New Car." A first look at the campaign -- which illustrates Nissan's passion about the potential for zero-emission mobility and a better, cleaner world -- was shown in New York as part of the culmination of the Nissan LEAF Zero-Emission Tour. The Nissan LEAF Zero-Emission Tour covered 10,000 miles in the United States and Canada, providing the first opportunity for more than 100,000 people to see and learn about the Nissan LEAF first hand.